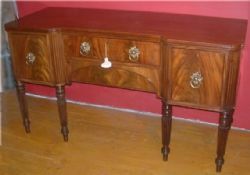 Regency Inlaid Mahogany Pedestel Sideboard excellent Flame mahogay Panels recessed centre section. 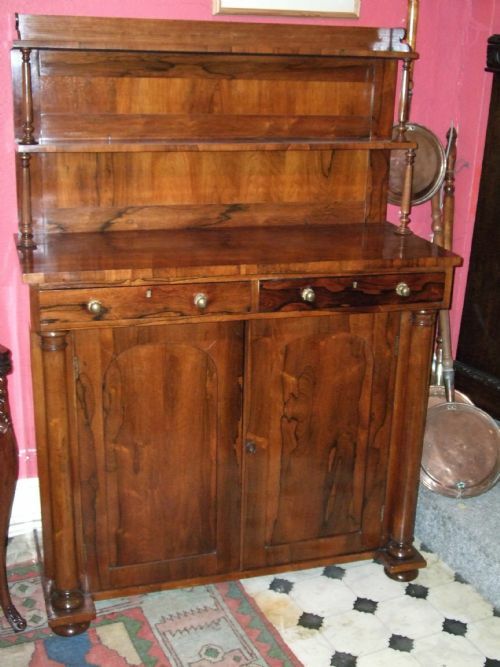 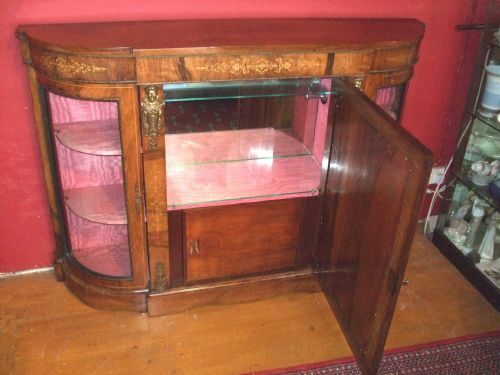 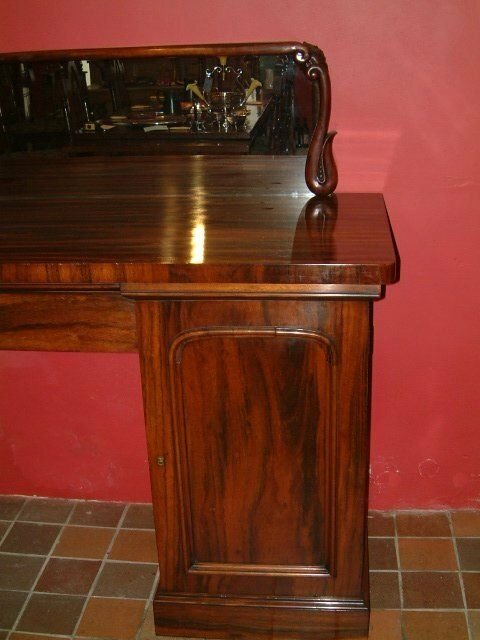 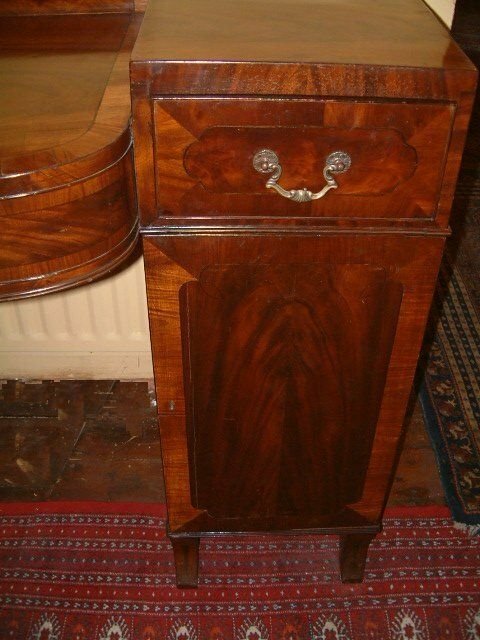 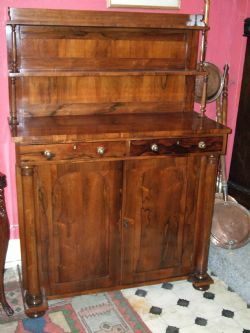 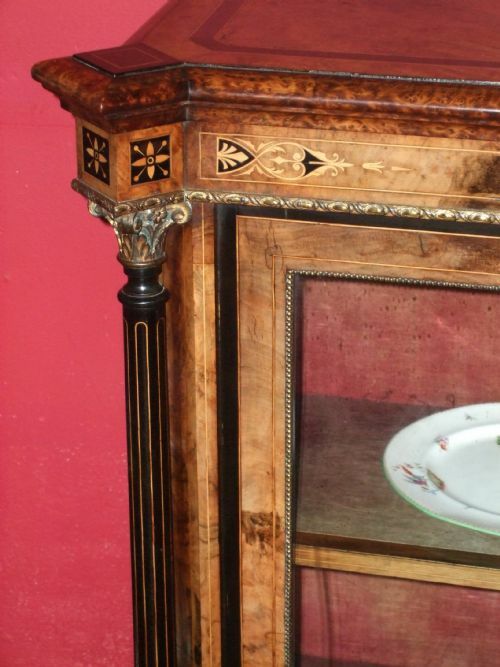 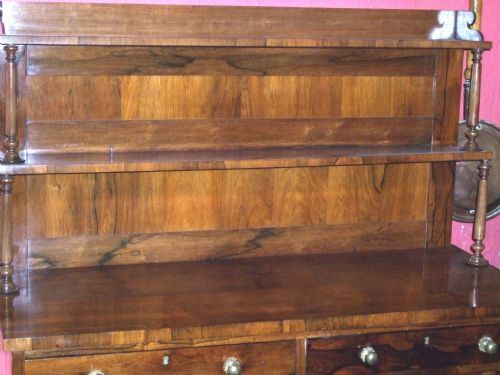 Regency Period Rosewood Chiffonier Good Figuring to the Rosewood Nice Brass Knobs, Cupboards with Shelf Below. 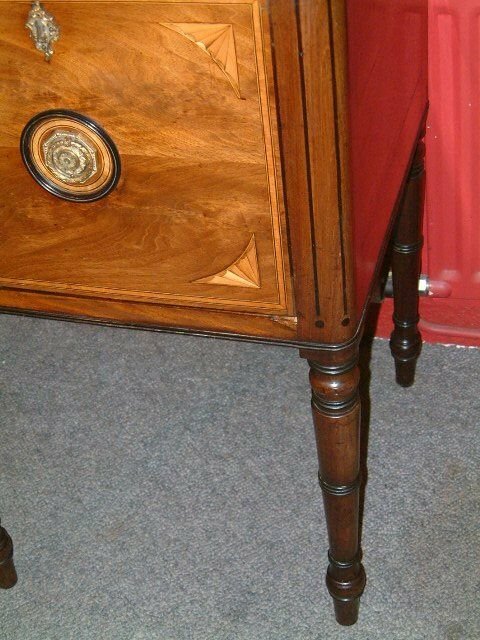 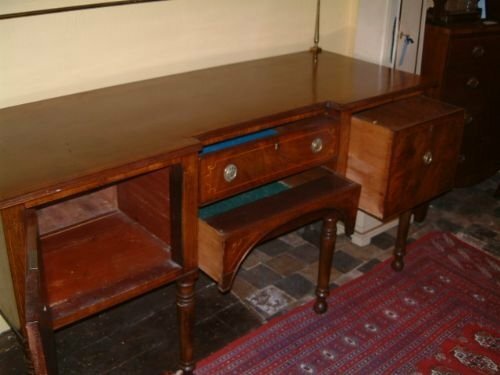 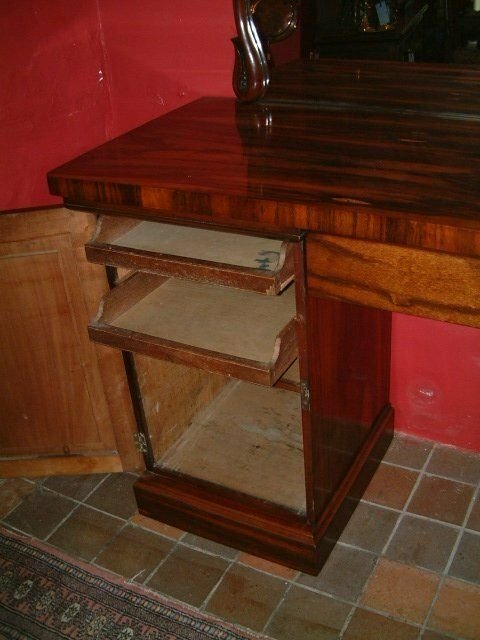 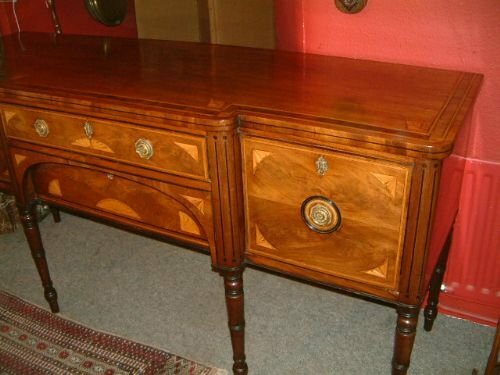 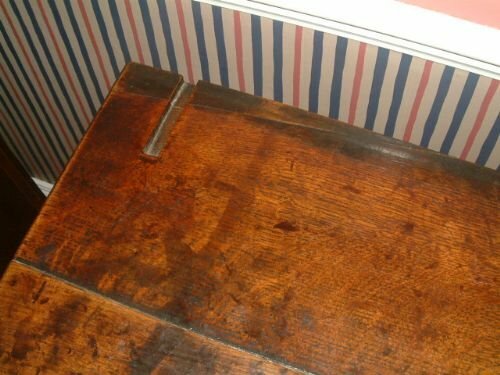 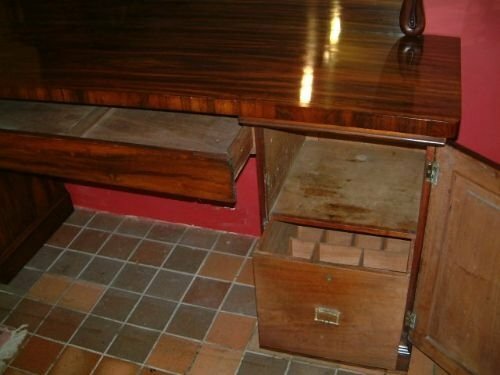 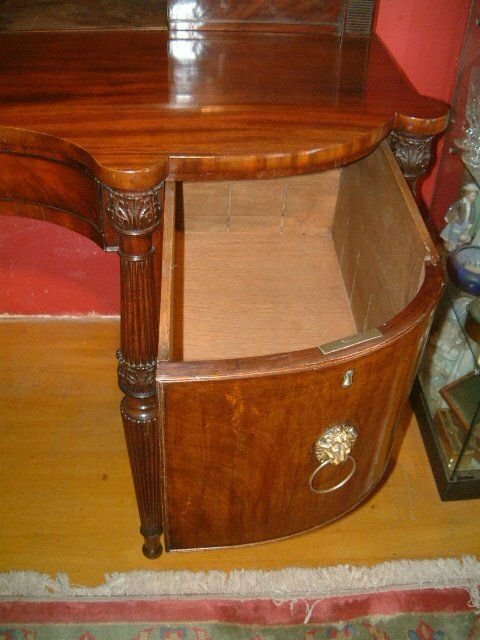 Good Rich Colour with Cupboard & Drawers Supported on Ring Turned Legs. 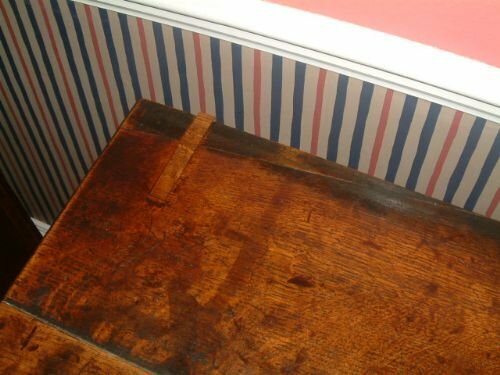 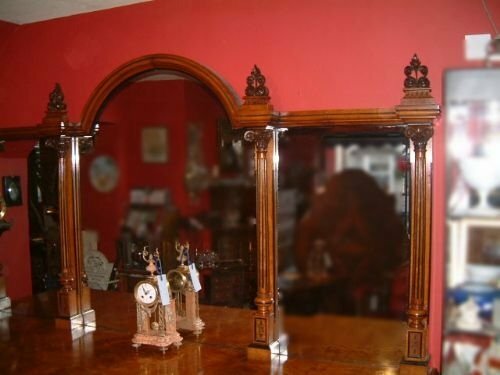 Of Architectural form with Carved Corinthium Capitals and Columns Superb Carving to the Drawer fronts Reeded Columns, Cellaratte.Etc Superb Colour and Patination. 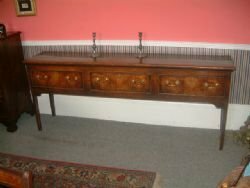 Superb Early 19thC Mahogany Scottish Sideboard, Excellent Colour & Carved Decoration to the Reeded Legs, with Concealed Drawers & 2 Large Drawers with Brass Lions Mask Handles. 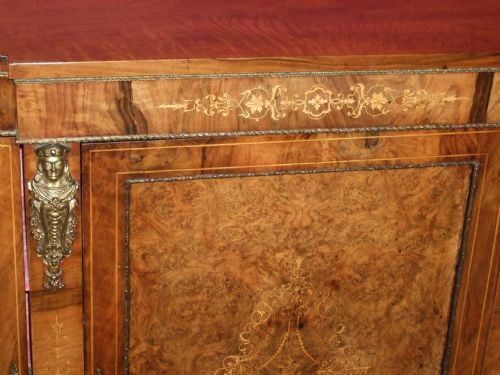 Victorian Walnut & Amboyna Credenza with Ebony/Boxwood Inlay & Ormolu Mounts. 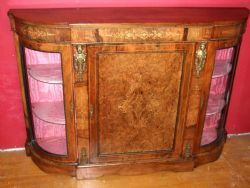 Superb Mahogany & Inlaid 18thC Serpentine Sideboard with Boxwood lines & Flame Mahogany Panels, also Pot Cupboard to Rear LHS. 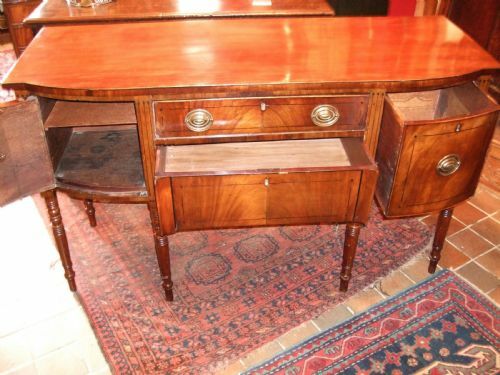 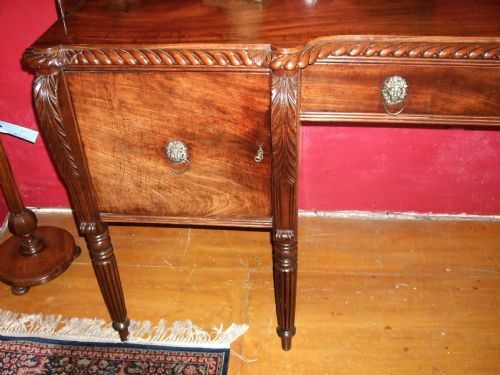 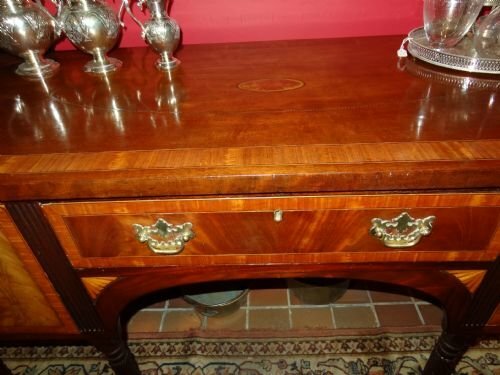 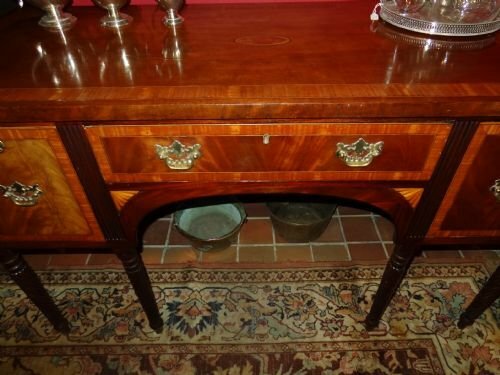 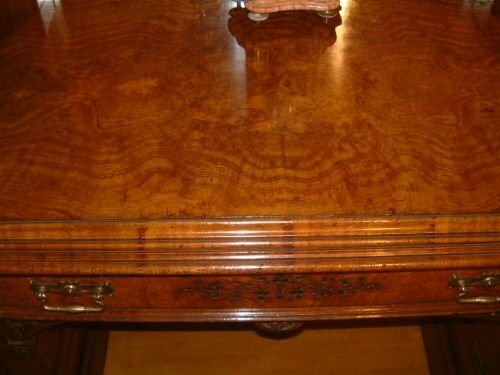 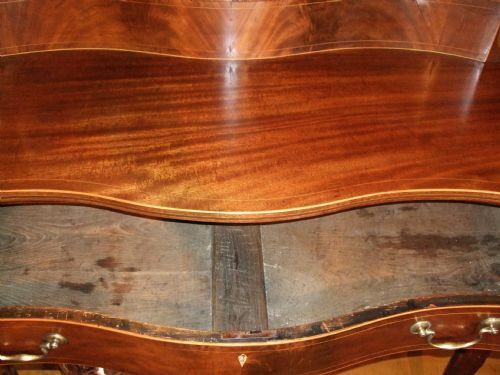 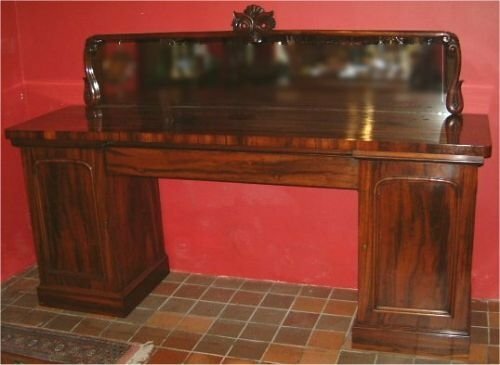 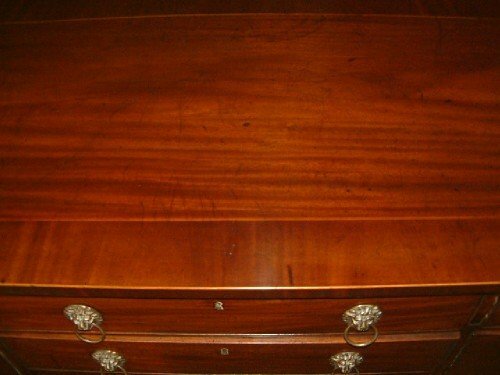 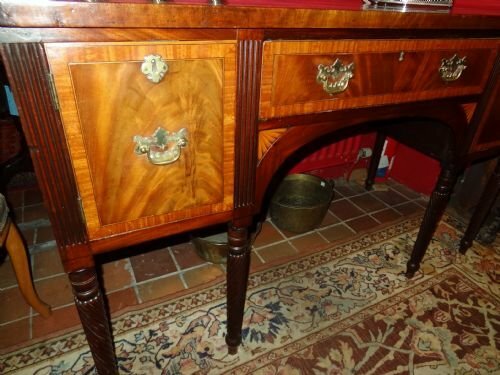 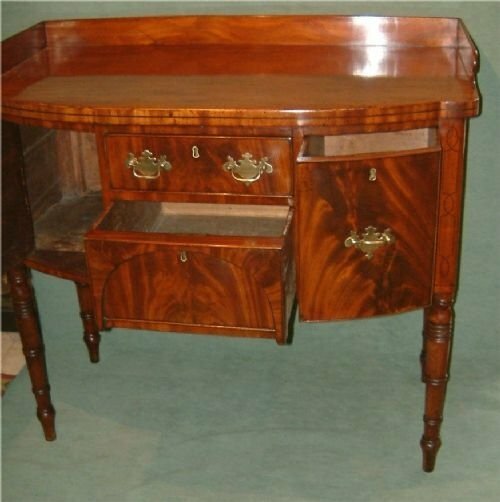 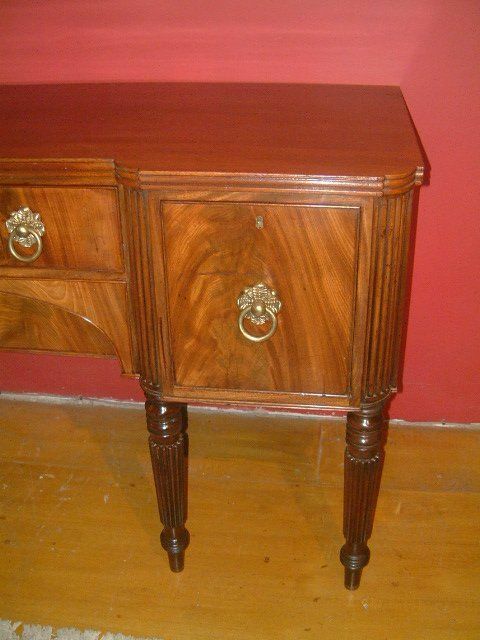 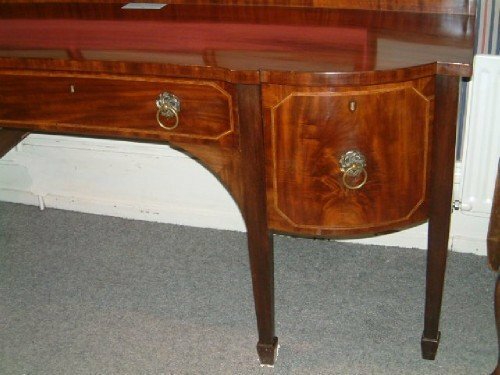 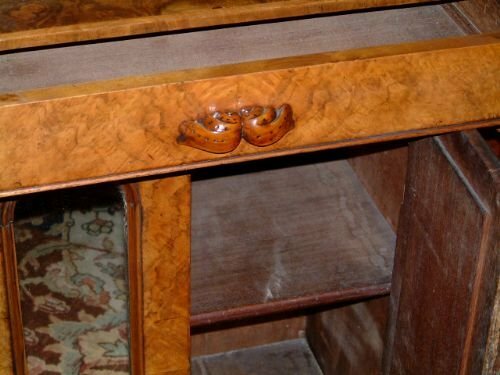 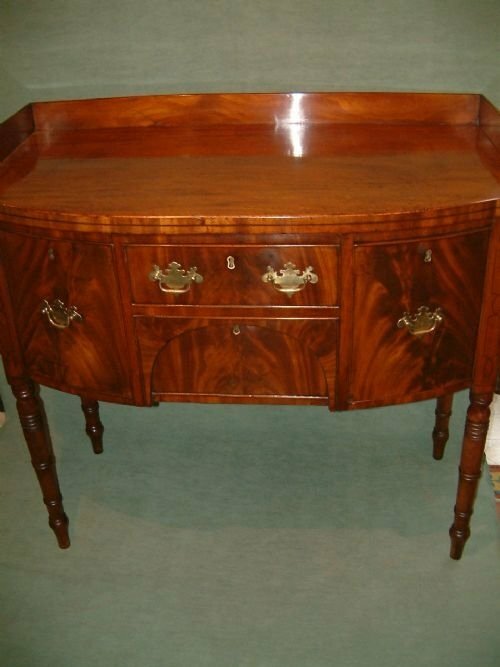 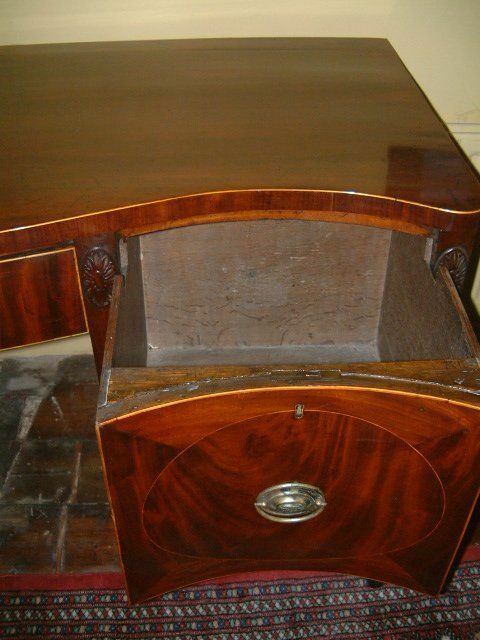 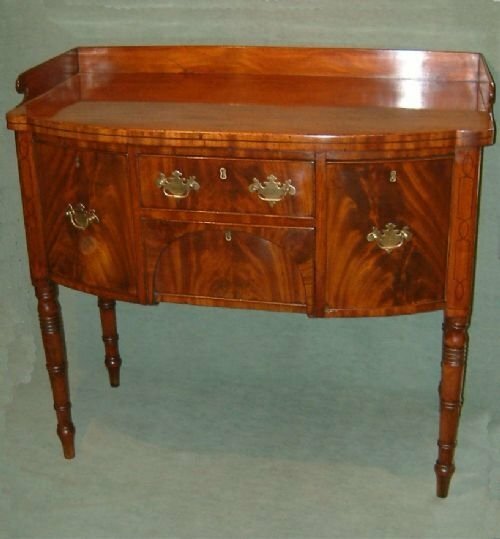 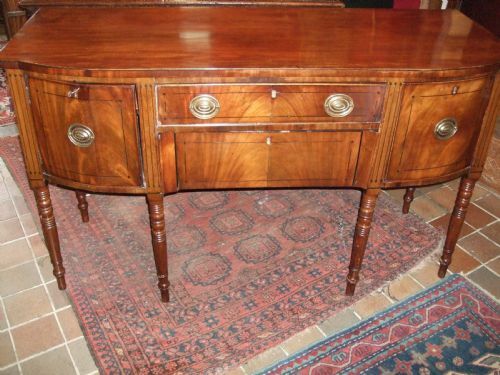 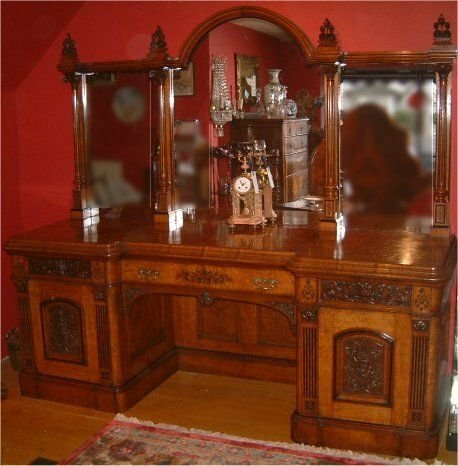 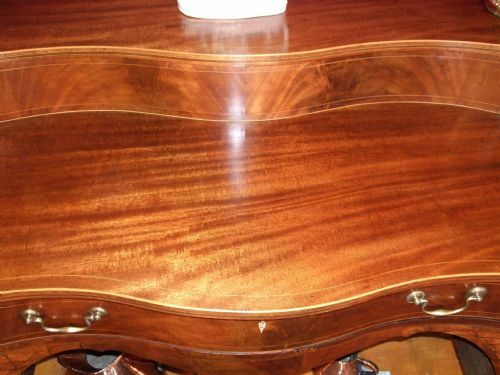 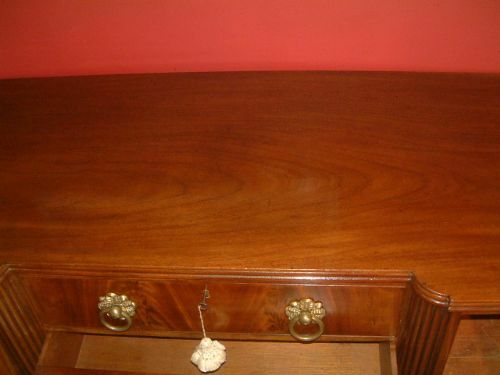 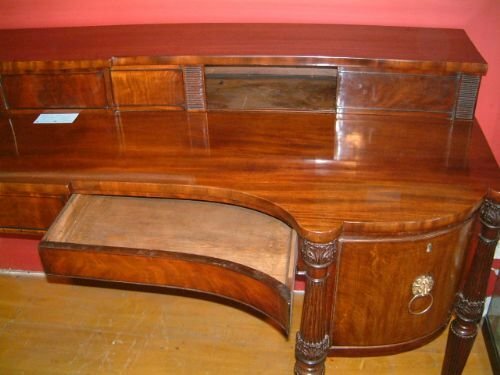 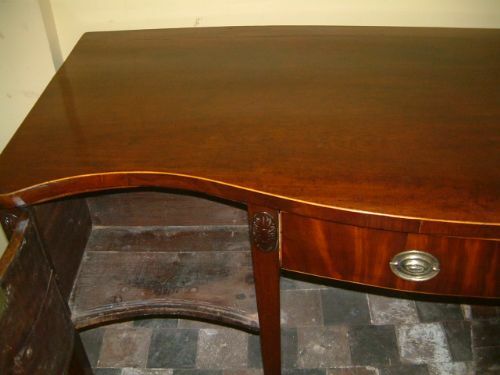 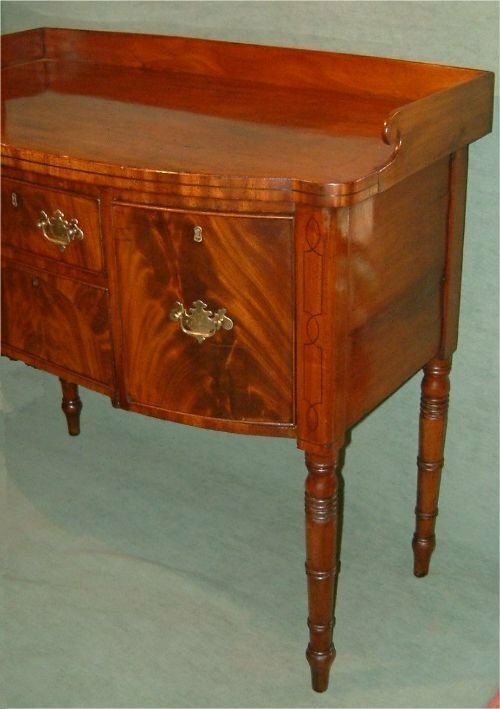 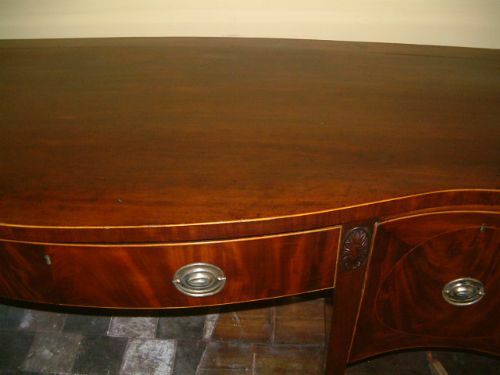 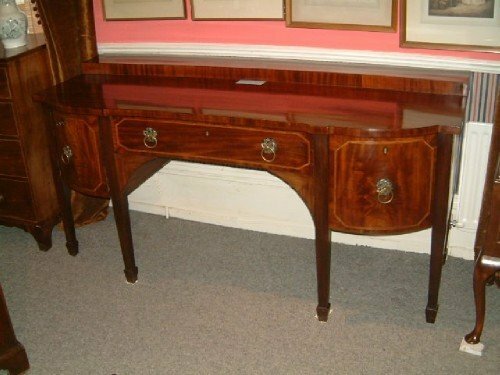 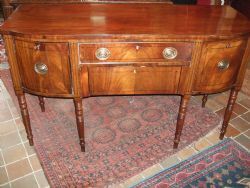 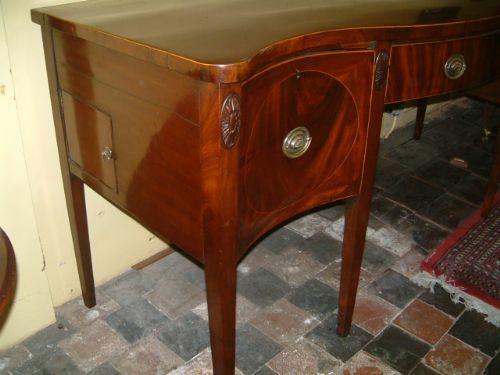 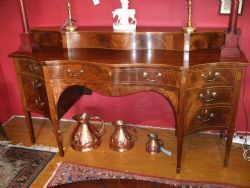 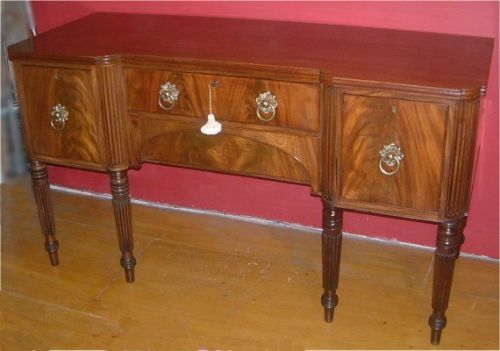 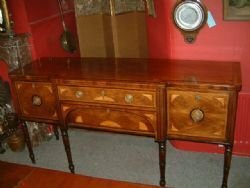 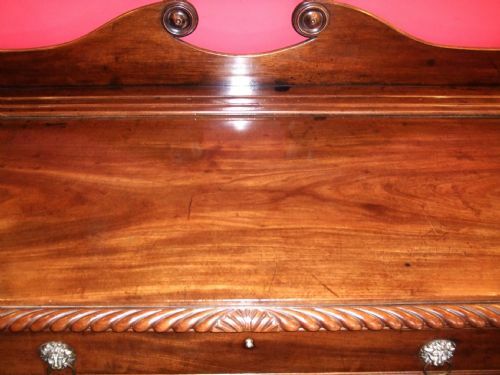 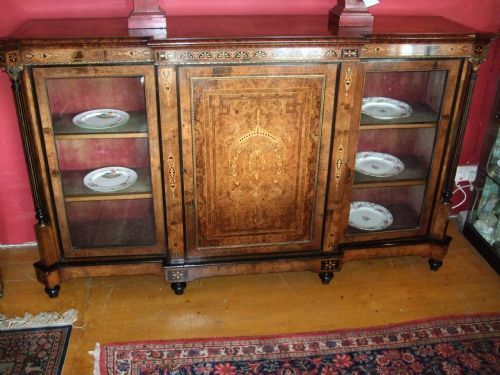 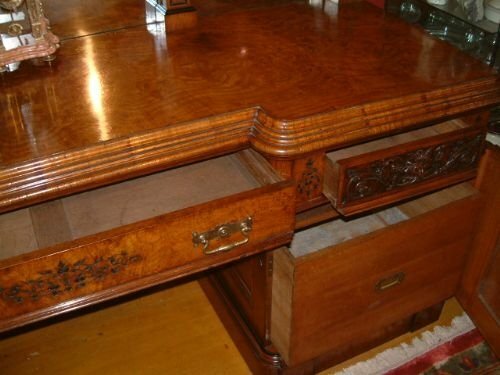 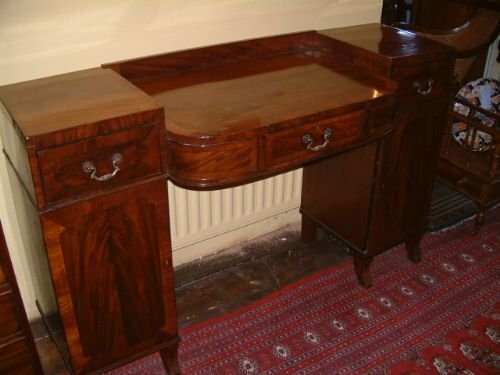 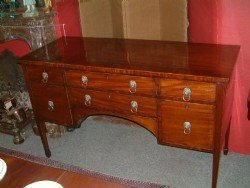 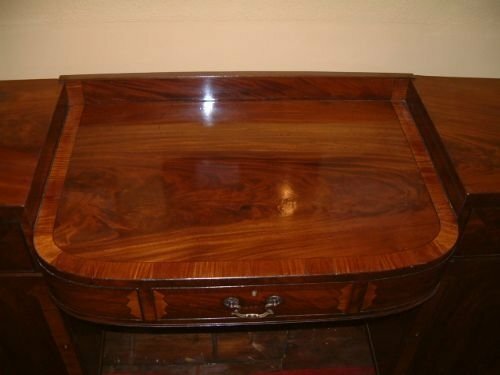 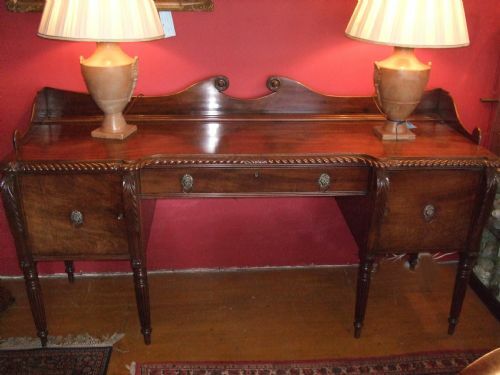 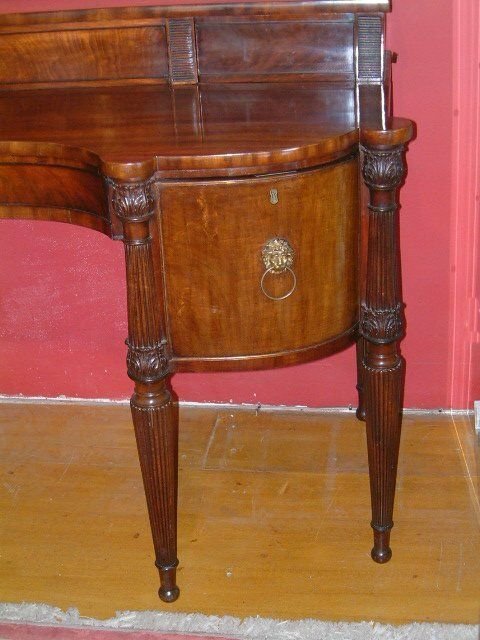 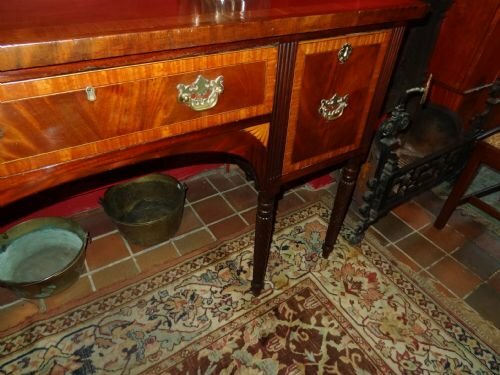 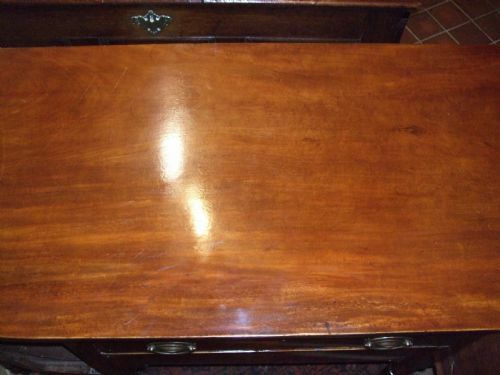 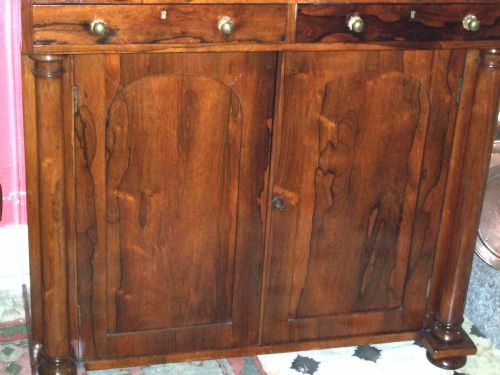 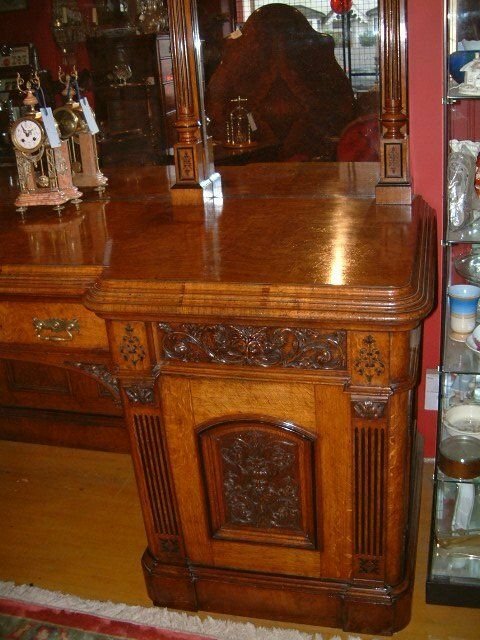 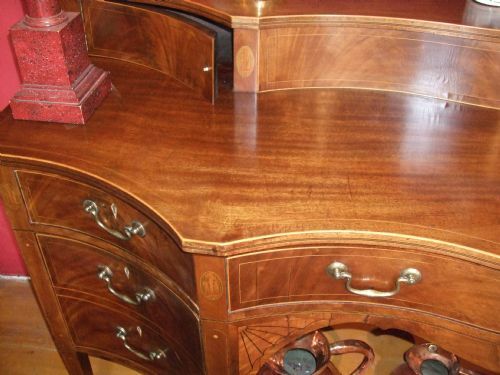 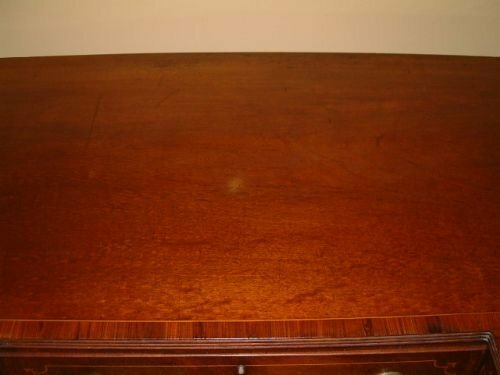 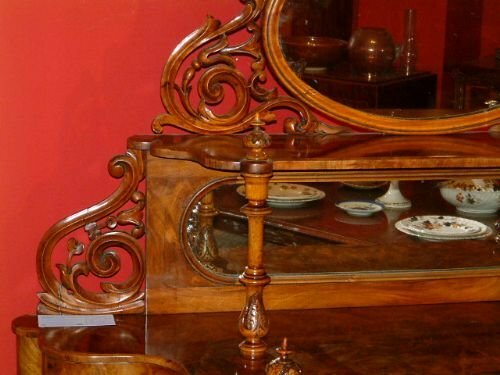 Superb George 3rd Inlaid Mahogany Sideboard Beautifully Inlaid with Satinwood Fans etc. 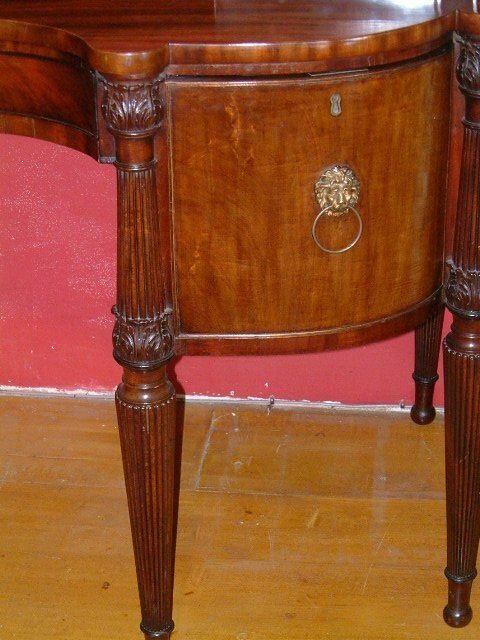 Supprted on Turned Legs. 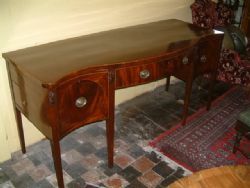 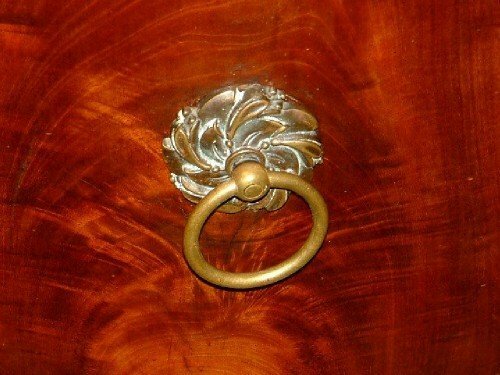 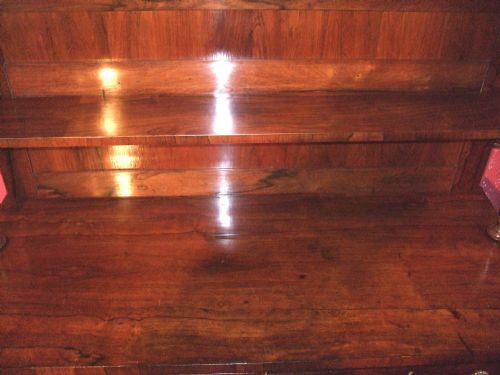 Originaly with Brass Rail. 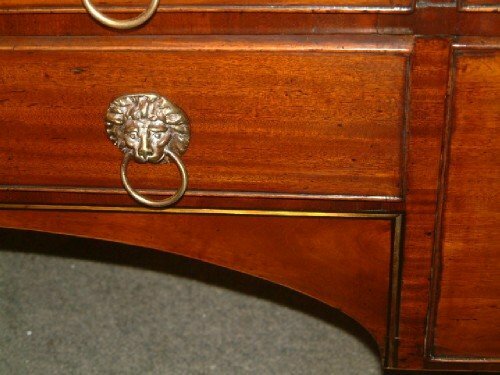 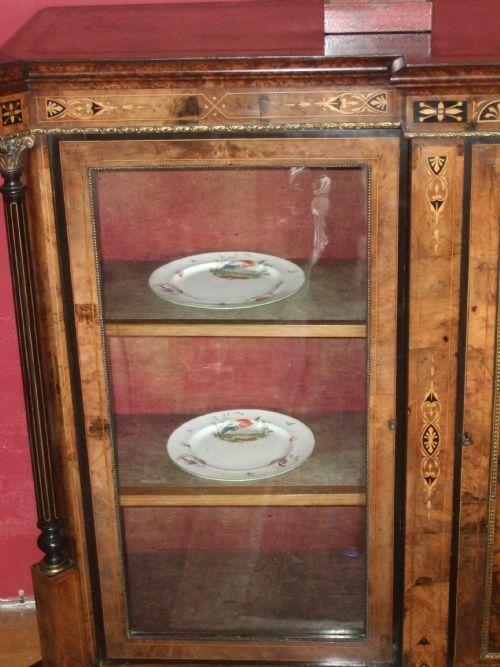 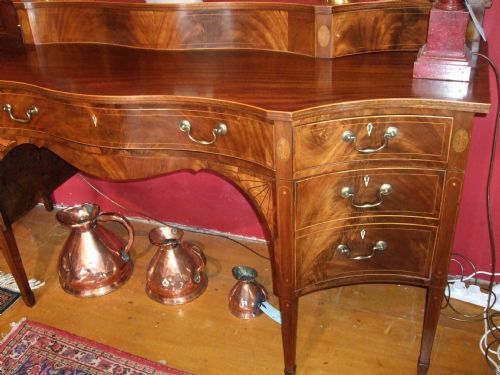 Wonderful Proportions and Good Colour with Brass Lions Mask Handles with Central Drawer and Two Cupboards Either Side. 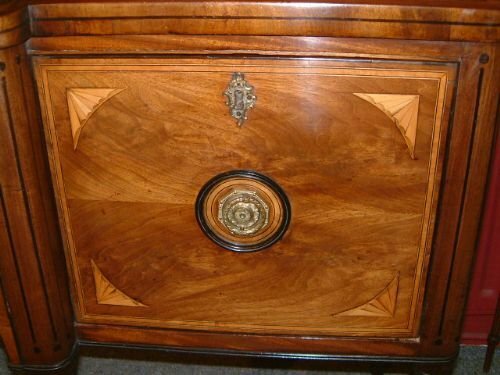 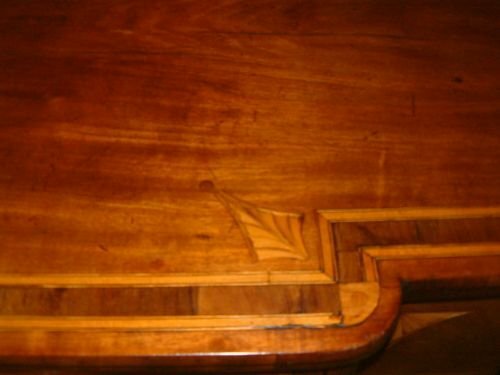 George 3rd Inlaid Mahogany Sideboard on Rope Twist Legs, with Satinwood Bandings & Shell Motif etc, Brass Pierced Backplate Handles. 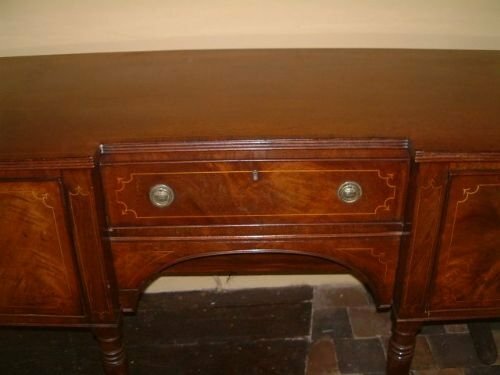 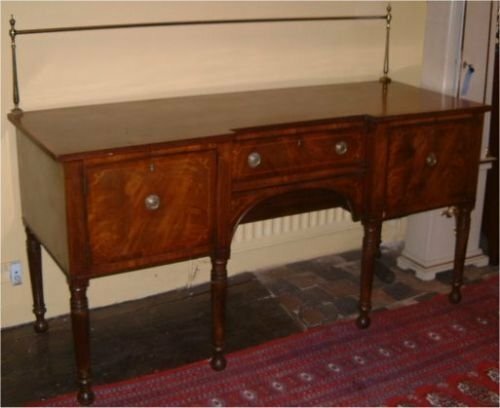 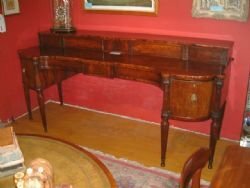 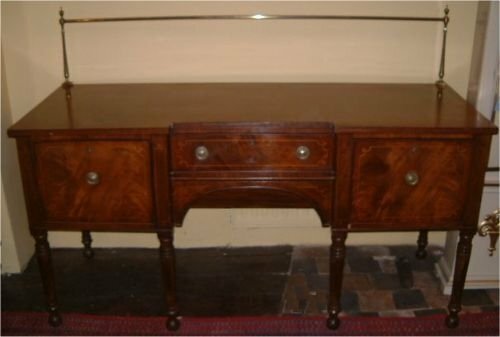 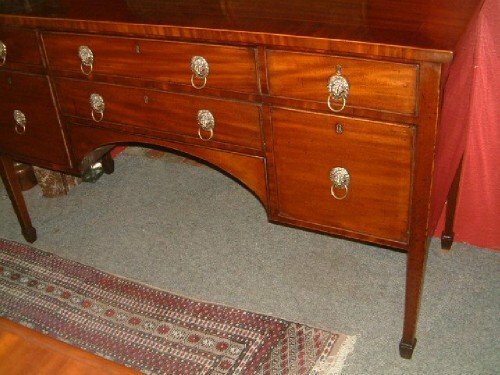 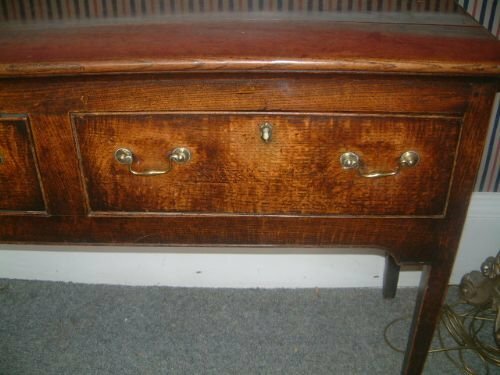 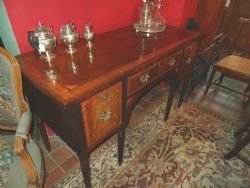 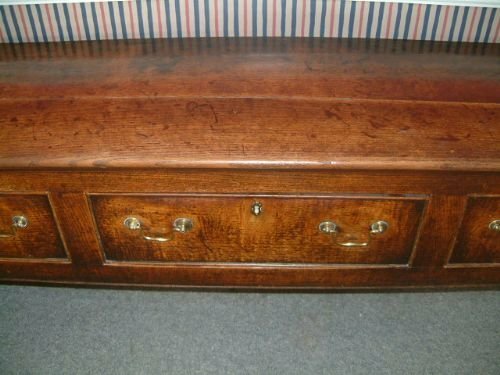 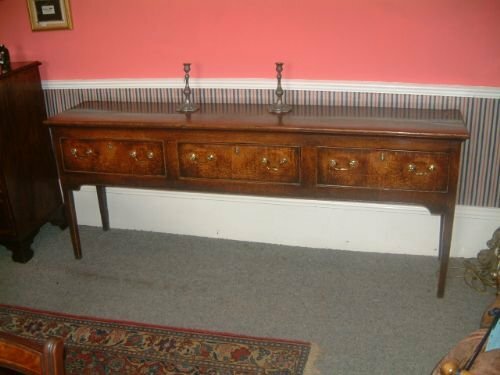 William IVth Mahogany Sideboard with Gillows Style Legs Original Brass Handles. 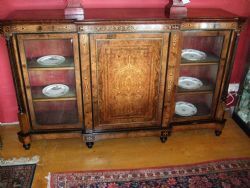 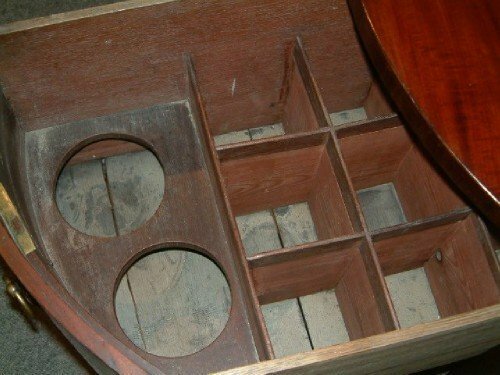 The Carved Mirror back above a long Frieze Drawer Surmounted by Twin Pedestals enclosing a Cellarette and Storage Slides. 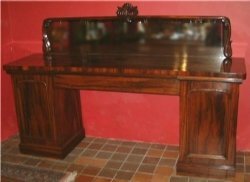 George 3rd Flame Mahogany Sideboard of Small Proportions with Ebony Line Inlay Supported on Ring Turned Legs, of Good Colour & Patination. 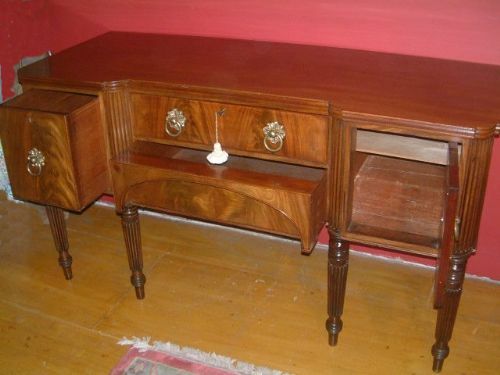 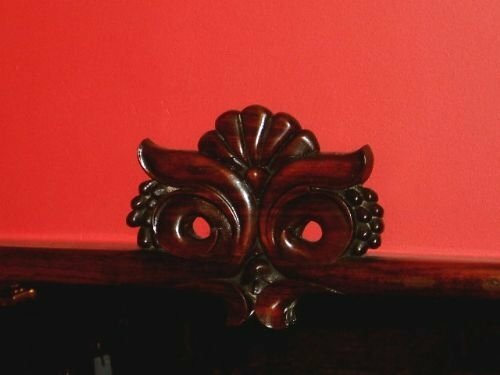 George 3rd Mahogany Sideboard with Crossbanded Top and Boxwood Inlay Brass Lions Mask Hndles with Brass Inlay the the Frieze Suported on Taper Legs with Spade Feet. 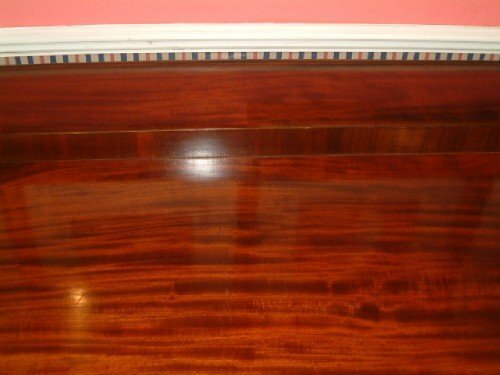 George 3rd Mahogany & Inlaid Bow Front Sideboard with Original Brasses & Fitted Cellarette, Good Colour and choice of Veneers. 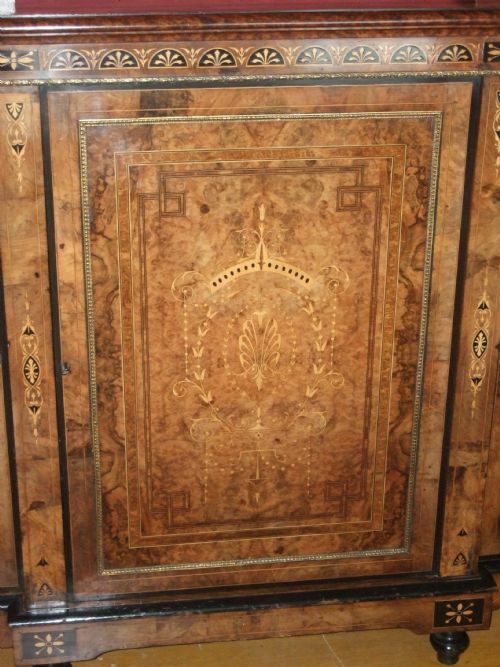 Victorian Walnut & Amboyna Ormolu Mounted & Inlaid Credenza. 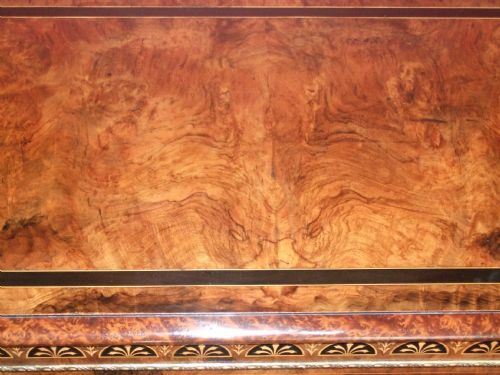 Superb Inlay & Choice of Veneers. 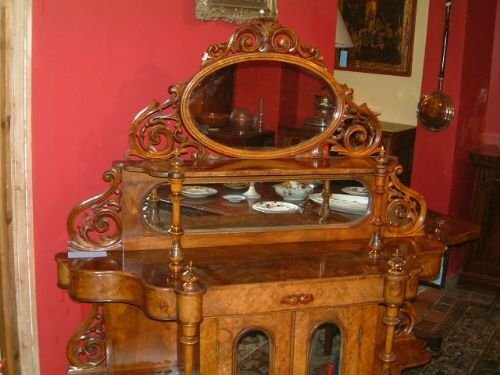 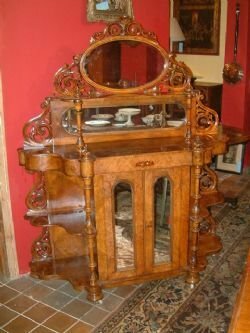 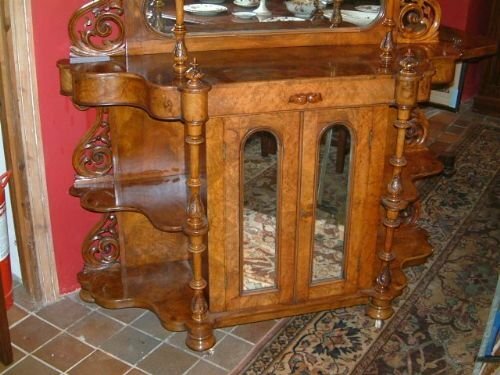 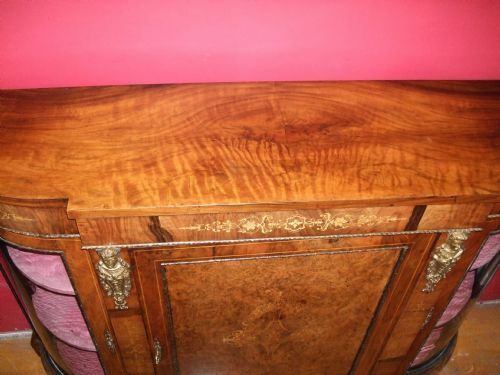 Victorian Burr Walnut Carved & Mirrored Side Cabinet/Chiffonier, Good figuring & Nicely Carved Details Cupboard to Centre with Mirrored Arched Doors & Drawer Above.